For the last several weeks I have been chained to the kitchen–almost literally. While working on developing EAT, DRINK, SLEEP=SHRINK WEIGHT LOSS PLAN, I went way out of may way to create 4 weeks worth of brand new recipes. From scratch! Poor Sprout! She’s been putting up with me. Her only comfort is that she gets to be the first to taste everything I make and then tell me whether it is tasty or not. Yes–she is my official taste tester! And, of course, because I am still a Mom, I get to be interrupted every 5 minutes because we still read, paint, draw and play, even if I’m cooking. I guess that’s why it takes me several hours to crank out those dishes :). 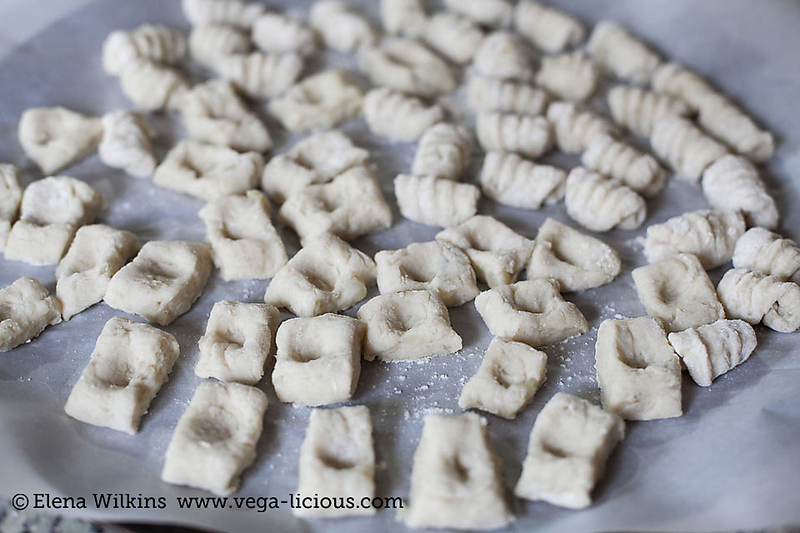 One of my proudest achievements (recipes), and by far one of my husband’s favorites, has become the 3 ingredient easy (all vegan) gnocchi recipe I whipped up. 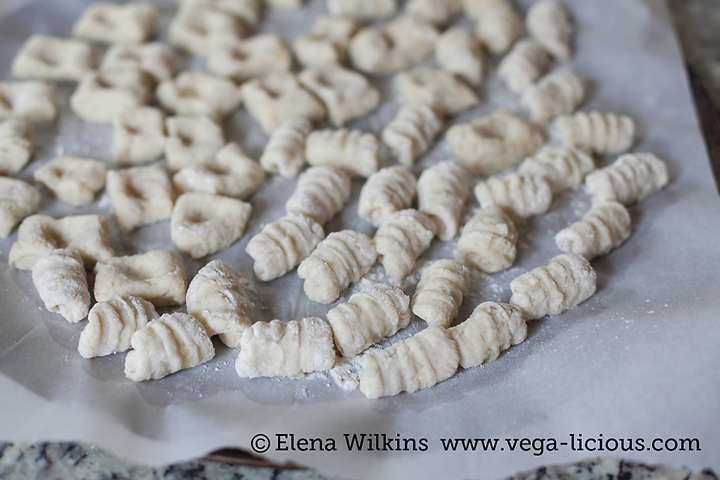 The last time I attempted to make gnocchi was before my vegan days–it was out of a box. While it came out tasty, there was no way I was going to keep eating all those shelf-life approved ingredients. So, I let gnocchi slide into the abyss of forgotten pleasures. This time inspiration struck me. I wanted something simple, tasty and totally pretty. I got all of that, and more, in this simple recipe, which can be made a thousand different ways. I usually test my new recipes out at least 2-3 times before making it available here or putting in a cookbook, I got to practice this recipe more than I ever wanted. Once to test it out, then to perfect the recipe. Then, since my husband fell in love with it, to make him happy. Then another time, so I could finally take pictures and record the process. Then, because my husband’s co-workers liked it so much too (yes, he shares his food!) and they were coming over, I made yet another batch of these heavenly, pillowey potato dumplings (because that’s what they are!). It’s good! It is delicious! But I can tell you that I would not mind not seeing gnocchi for a bit. Instead, I will give you that pleasure. 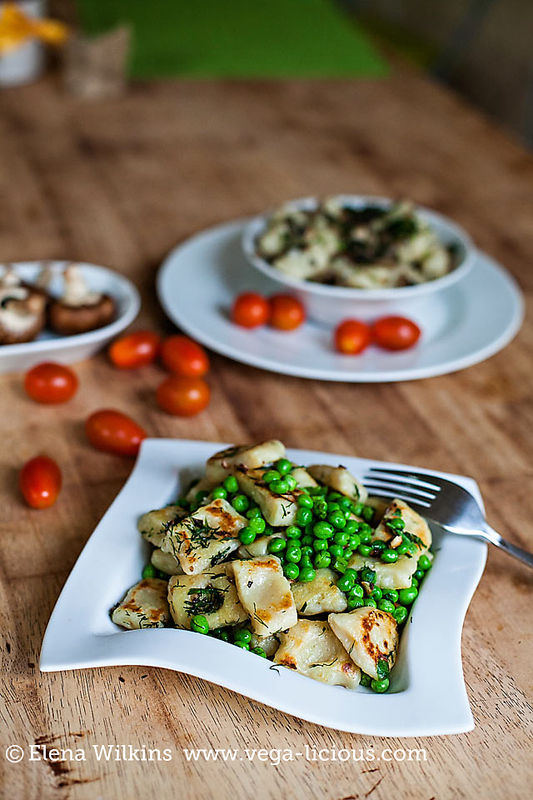 Today I will give you not only the vegan recipe, but also 4 delicious ways you can enjoy gnocchi. You will find a detailed printable recipe at the end of this post, but here is my show and tell. You precook the potatoes. 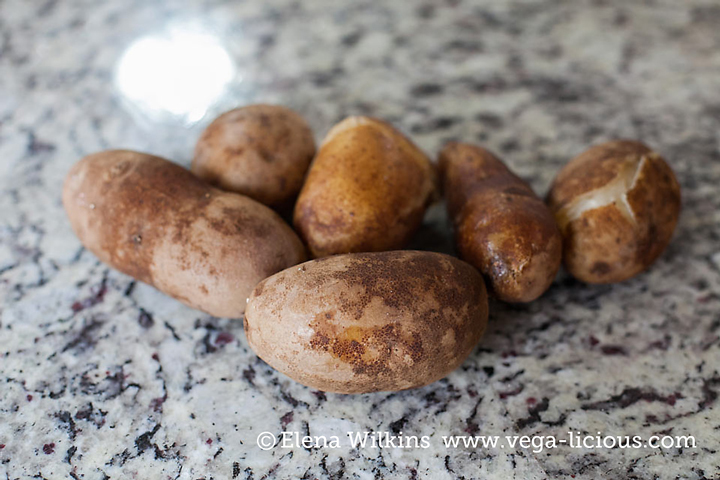 After you boil them, you need to give them only a few minutes to cool off, because for gnocchi to come out right, potatoes still have to be hot when you prep them to make the dough. If they are too hot for you to handle, you can place them on a fork when peeling. Mash potatoes thoroughly, so no chunks are left behind. You can even use a food processor to do the work for you. 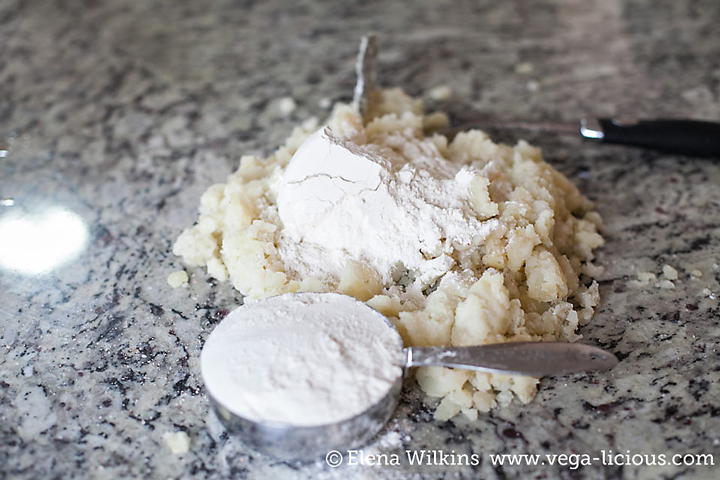 Flour to potato ratio, by volume (cup to cup), will end up being nearly 1:1. 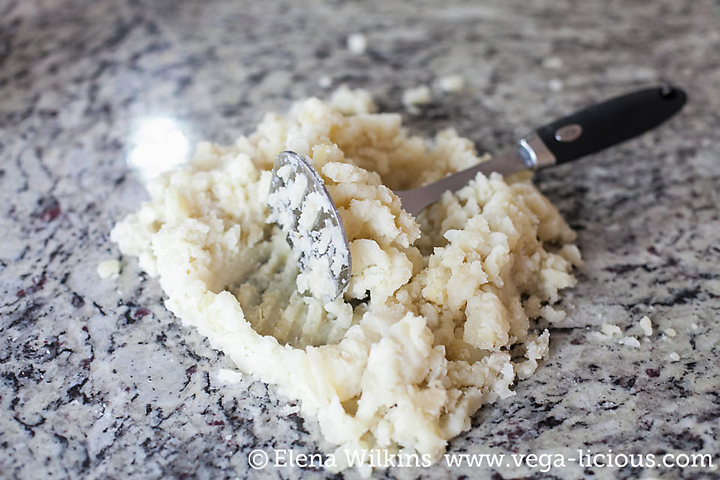 You can use your own pretty ten little fingers to start mixing your 3 ingredients (potatoes, flour and salt), or any other means that you fancy. Now, a word about salt. I read some remarks online, claiming that gnocchi comes out tastier if you do not salt it, until you serve it–don’t believe the hype! I made a whole batch of it salt-less and let me tell you, it was one culinary regret I will live with. Now I salt the water I cook potatoes in, and then add salt (to taste) to the dough too. Much better results! 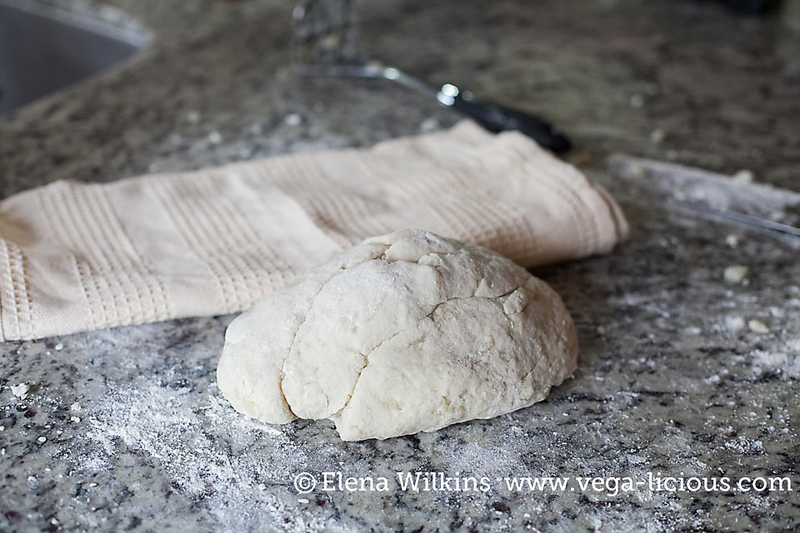 Knead the dough only long enough for it to look and feel like dough–no need to over-knead it. It should be fluffy and light. 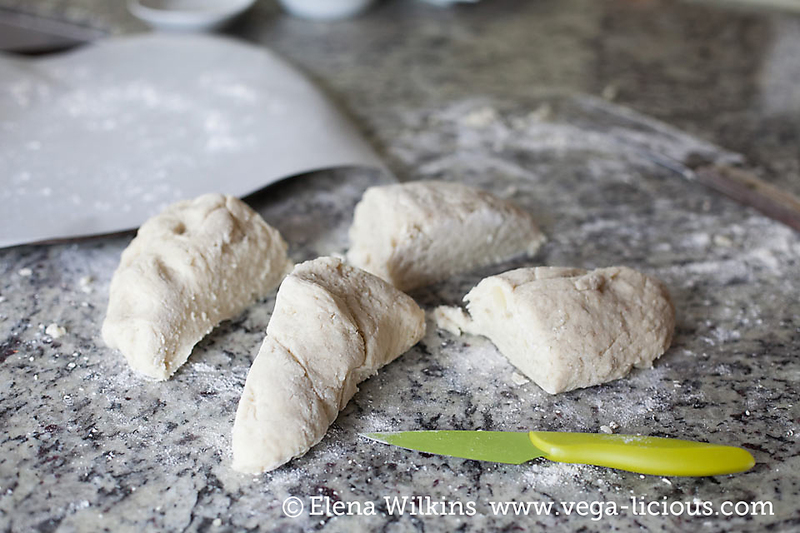 You will let the dough rest for about 10 minutes before creating dumplings out of it (I wish I could take a creak when the dough’s resting, but I normally use that time to prepare whatever I will end up enjoying my dumplings with). Make sure to cover it with a towel or a bowl, so that it doesn’t get dry and crusty on the outside. After that it is time to work! 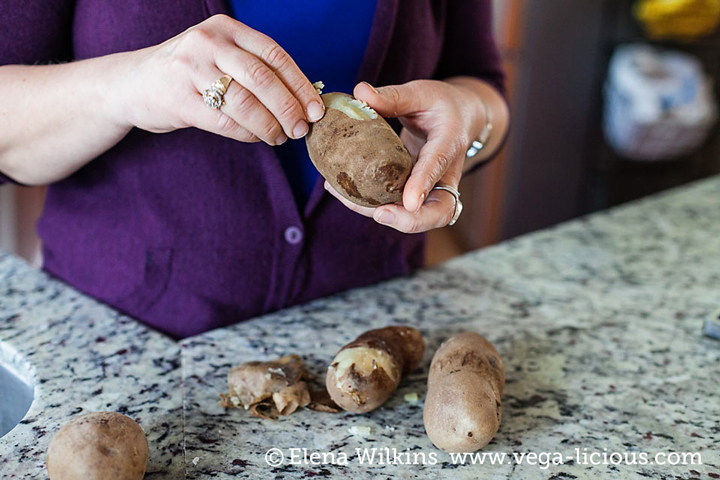 And I know, I told you that the recipe is easy (and it is), but the rolling, cutting and shaping part of the process might take you about 30 minutes, if you are a novice, or 15-20 if you are an expert cook. …like this. 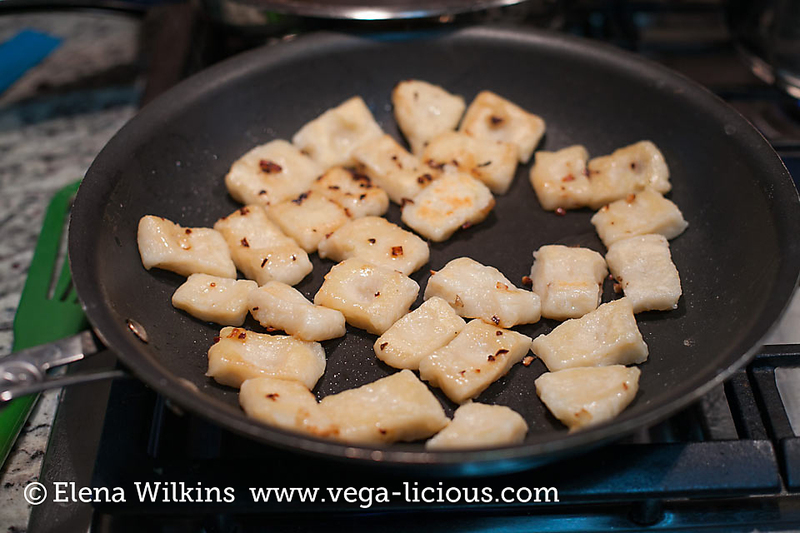 I especially prefer the rectangular shape for one of the ways I like to make my potato dumplings–pan seared, crunchy to perfection! You will see that in just a moment. 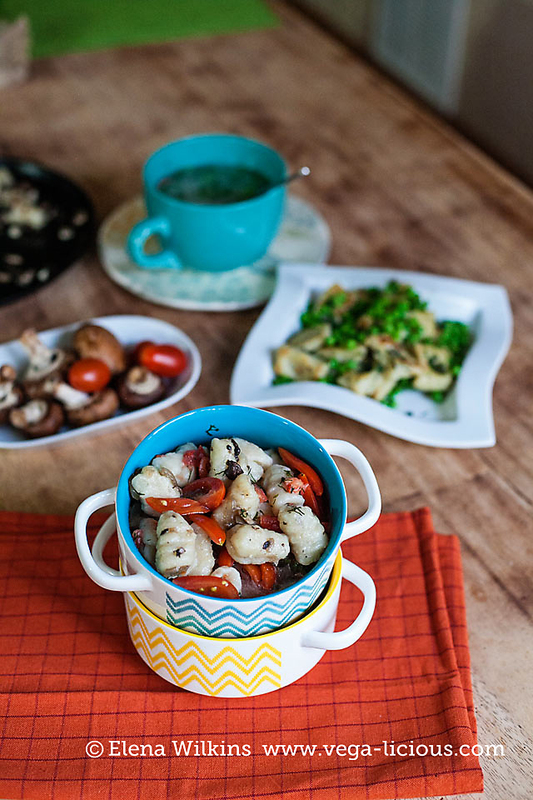 Now, when the time comes to cooking gnocchi–that’s the easy part–it takes only about 2 minutes to get these babies “plate ready”. 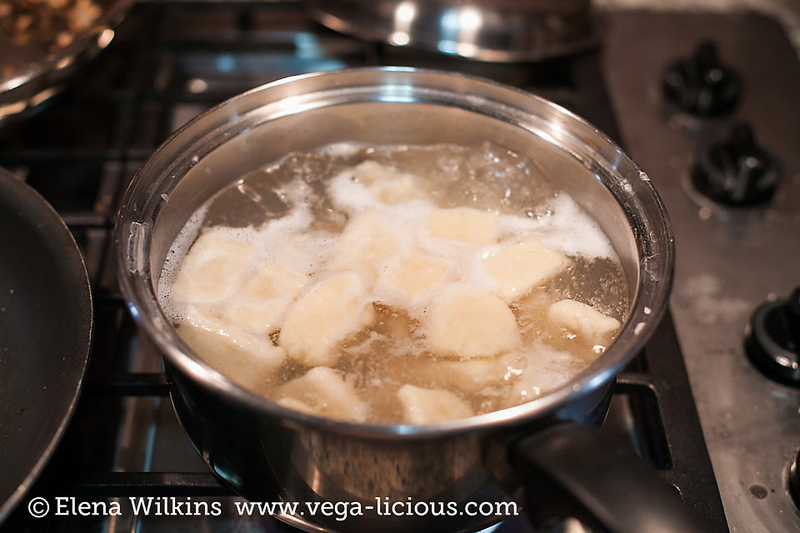 The moment they float to the top of the pot–you can remove them! And now for the very fun part! 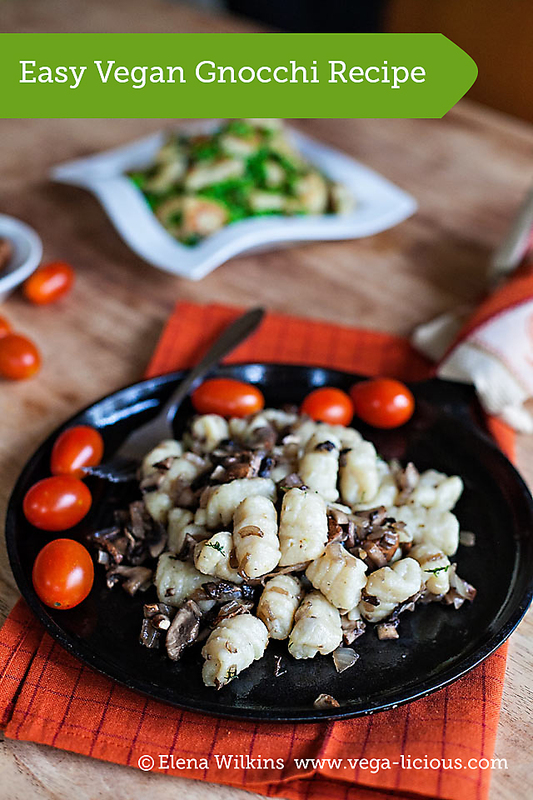 4 Ways to Have Your Gnocchi! 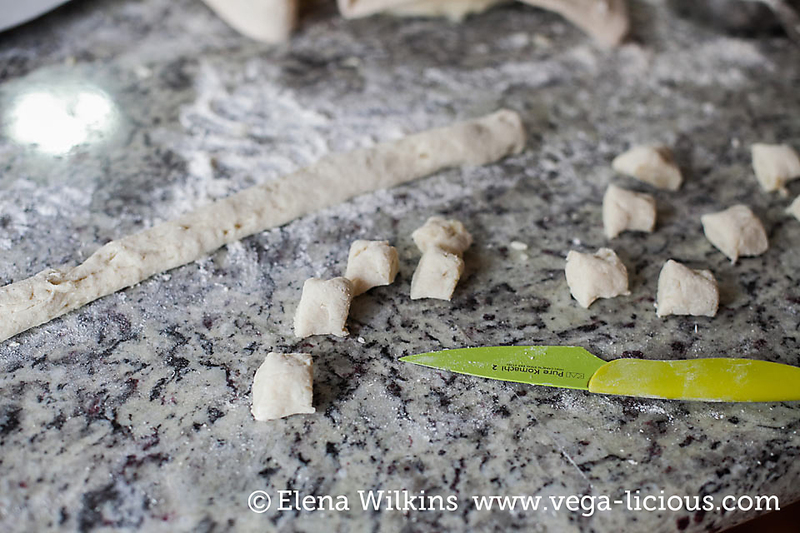 This is where the simpler (read: lazier) shape of gnocchi comes in so handy. 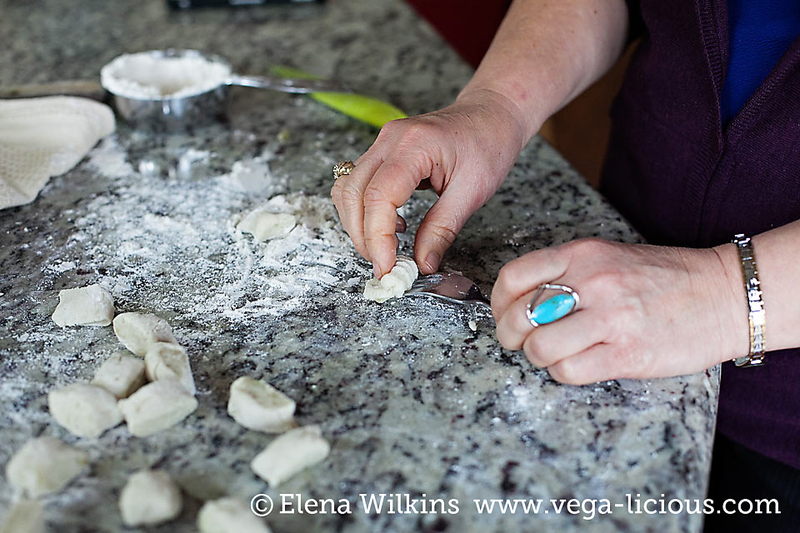 You can flip ’em to sear each dumpling to perfection on each side. I know, I must be the only person to think of gnocchi soup. I love soups! I could have soups every day, five times a day! So, here is your recipe. Make it. Love it. Freeze extra for future 5-minute meals. And tell me what you think of it. 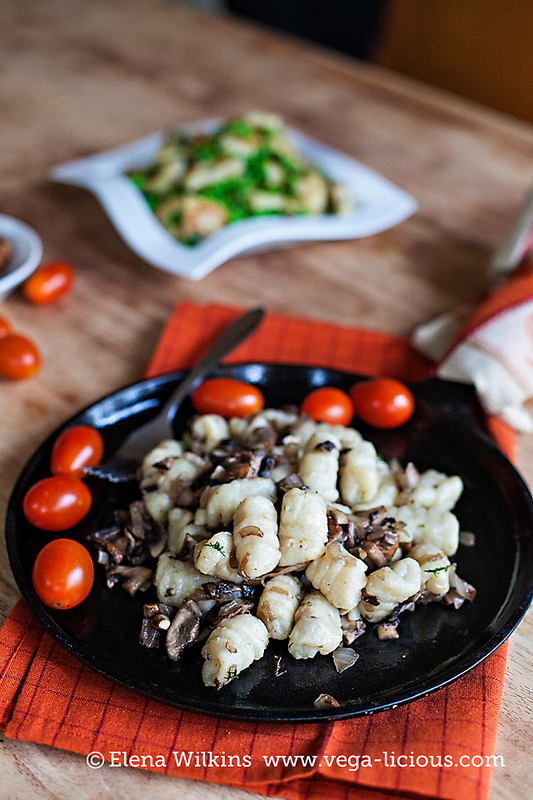 Have your own favorite way to enjoy gnocchi? Tell me about it in a comment below. 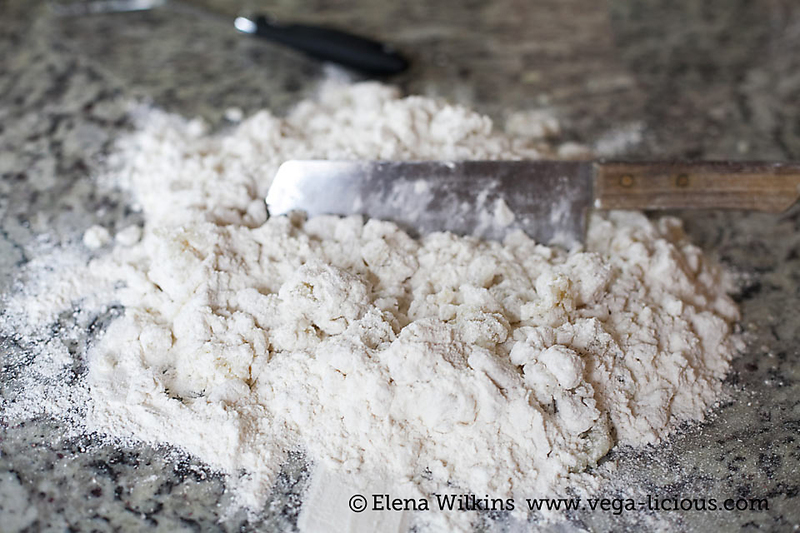 *you can use white flour for traditional recipe and to spoil guests, or whole wheat flour. If using whole wheat flour, sift it through first, to remove larger particles, so that the dough would still come out soft and fluffy. 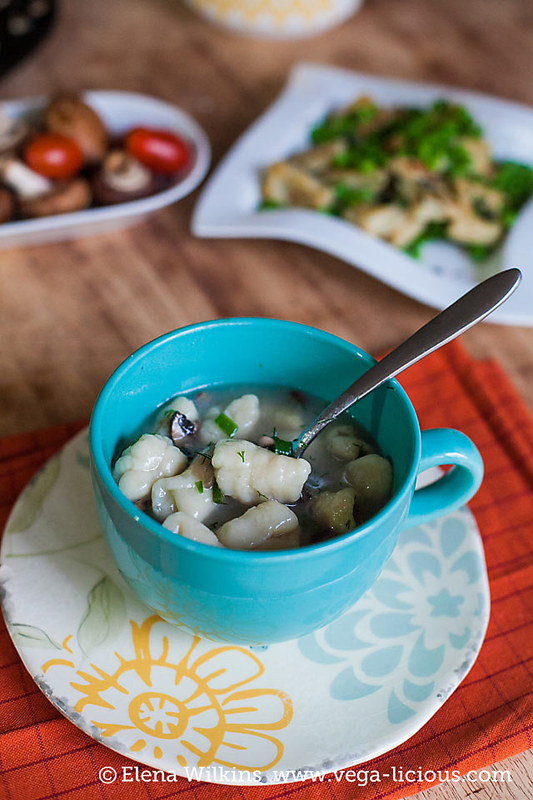 You can freeze premade gnocchi (without boiling them first) to enjoy later. Simply lay them flat over parchment paper, spread over a baking sheet, and pop gnocchi in the freezer until they are frozen. Then transfer into Ziploc bags, and you got yourself a 5 minute meal ready to be cooked.